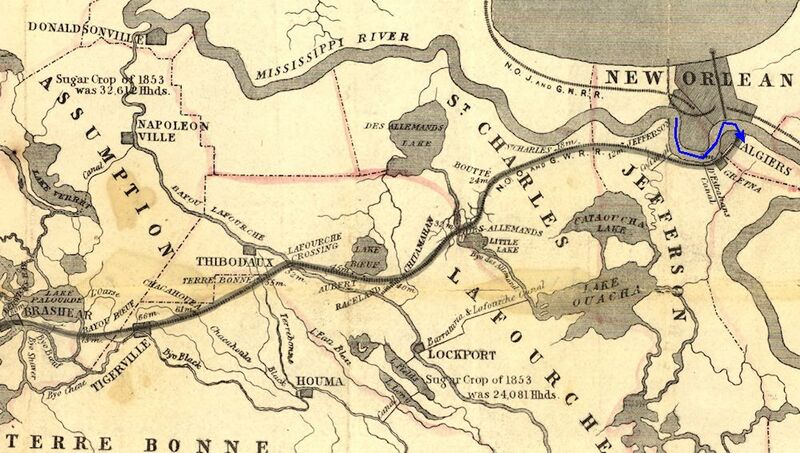 During this time the regiment camped at Bayou Boeuf (present day Amelia), Louisiana, about seven miles east of Brashear City (present day Morgan City). Private Thomas Linn, Company B, gives us a glimpse into the soldiers' camp life. Monday, Sept. 7, 1863 - Day spent by the boys in fixing up their tents. Some of the boys fishing for sea crabs. Tuesday, Sept. 8, 1863 - Tents all to be moved again this morning. Take a bath in the Bayou. Wednesday, Sept. 9, 1863 - Day hot and night cool. Thursday, Sept. 10, 1863 - Day passed about as yesterday, nothing going on. At midnight we received orders to march at day-break.